Leather Clutch Pouch is made using the fine quality is an eye cynosure.The designer clutch purses we manufacture is one of the hottest trend this season. 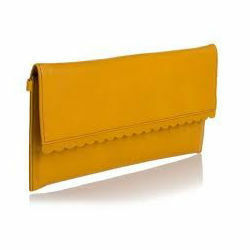 The leather clutch purses are elegantly designed in a manner that it looks perfect with a formal or a party wear. These Leather Clutch Pouch are also available in many sizes and patterns to customers. Looking for Leather Clutch Pouch ?